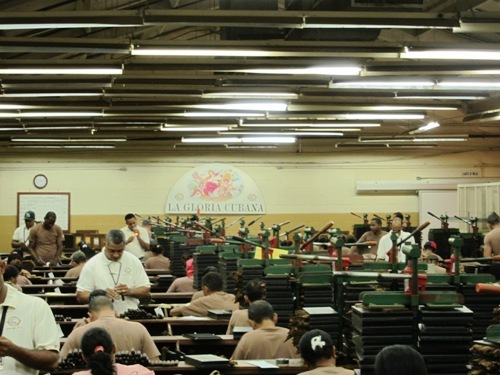 Last week I was in the Dominican Republic touring General Cigar’s facilities, where La Gloria Cubana, Macanudo, Partagas, and a number of other well-known cigars are made. A La Gloria roller cuts the wrapper before rolling it around the bunched cigar. 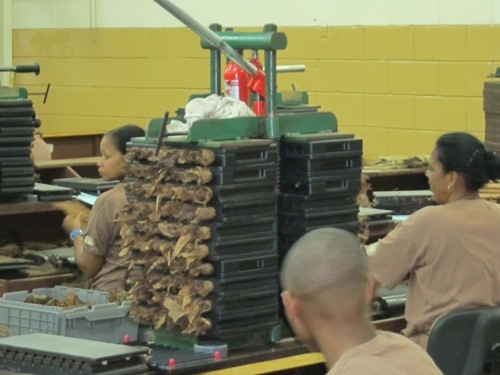 Cigars are pressed after bunching (and before rolling) to create a solid shape and even draw. Wooden molds used to be used, but now almost every factory relies on plastic molds which last longer and are more uniform. Production numbers are kept and quality checked. 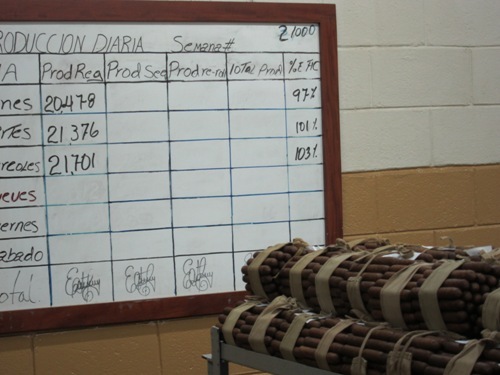 As you can see, in just three days over 60,000 cigars have been rolled. One of the most impressive things I saw was one of their tobacco warehouses, where tobacco ages and is stored. 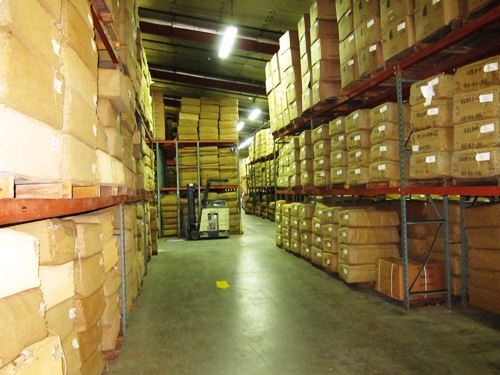 In this particular warehouse, they estimated there was $50 million worth of tobacco. 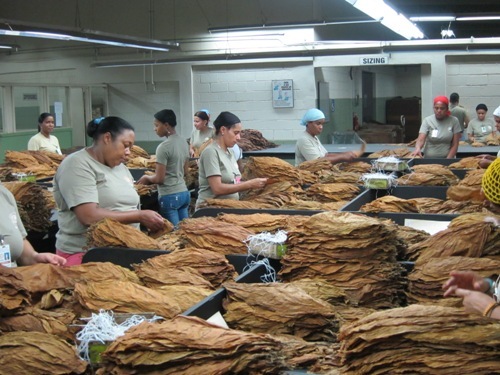 At any given point General Cigar says they have $120 million dollars of tobacco stored. 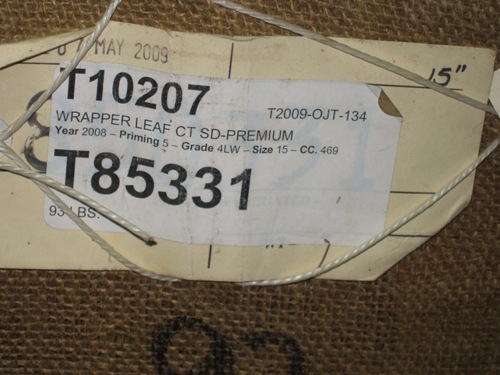 Each bale in the warehouse has a label with key information about the tobacco. This particular label features Connecticut wrapper leaf from 2008. Curing tobacco is what begins its process from plant to cigar. 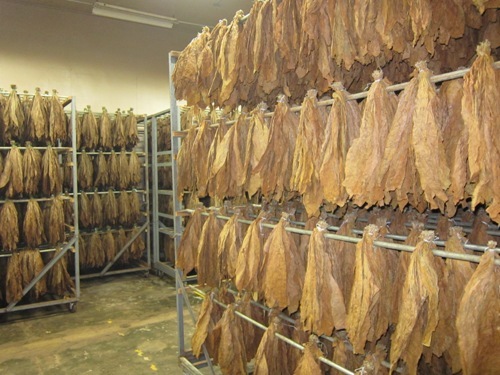 Here aged tobacco is cured in a heat controlled room with misting water and plenty of airflow. 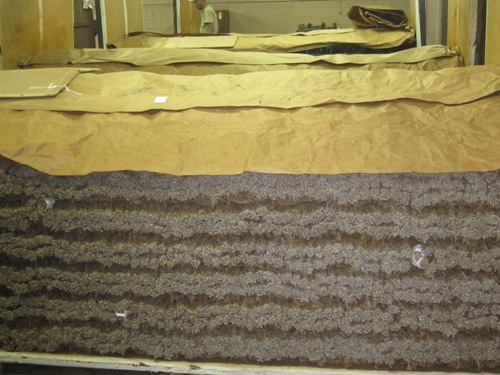 Fermenting tobacco is what takes it to the final stages before it can be rolled. Fermenting tobacco generates its own heat and must be watched closely or else it can be ruined. Tubes are used to take the temperature of the tobacco. 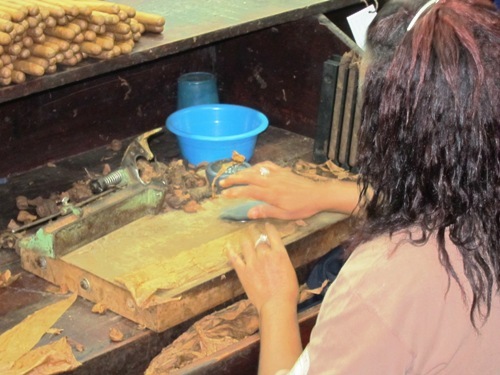 That’s just a few of the many steps that it takes to produce a handmade cigar. Next time you smoke one, be sure to take a moment to consider the many steps it took and the attention to detail that was necessary to produce a fine cigar. A mistake in any step in the process can ruin what would otherwise be an excellent smoke. Great photos. Must have been fun. Looks like an amazing trip. Never been to a factory tour before, but this makes me want to pull the trigger on one like never before. I would imagine something like this would increase my cigar knowledge 5-fold. Hi Patrick S, sounds like a greet trip, and something that has to be very interesting to see, also did a good job on the pictures.